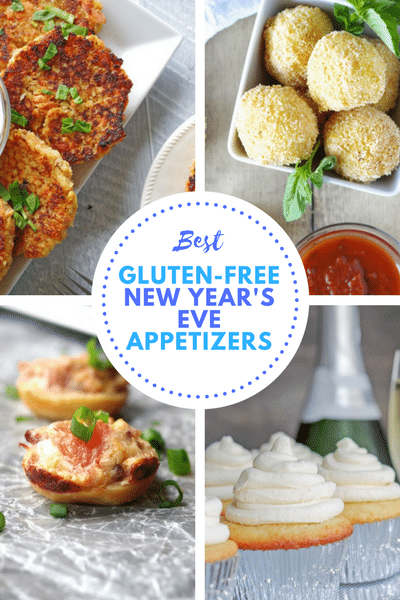 Best Gluten-Free New Year’s Eve Appetizers: From bites to savory hand held starters, we’ve got you covered with some of the most flavorful, yet simple gluten-free appetizers to help you ring in the New Year! 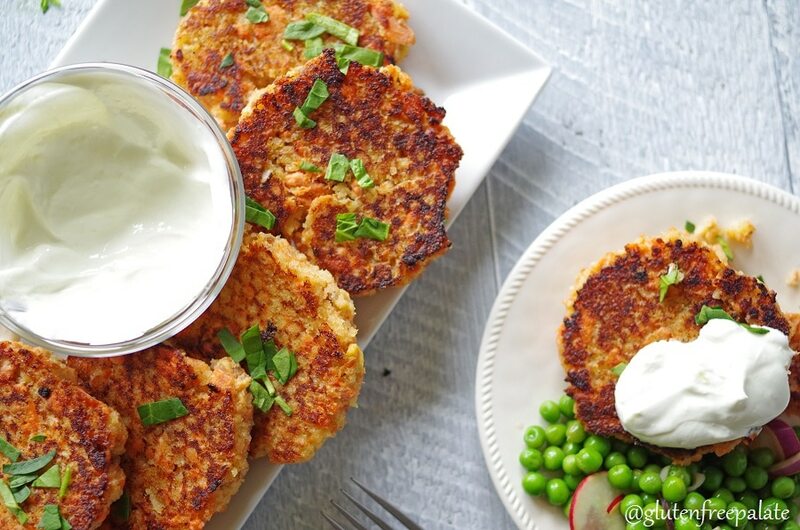 Gluten-Free Teriyaki Salmon Cakes make a great dinner option or an elegant gluten-free appetizer. 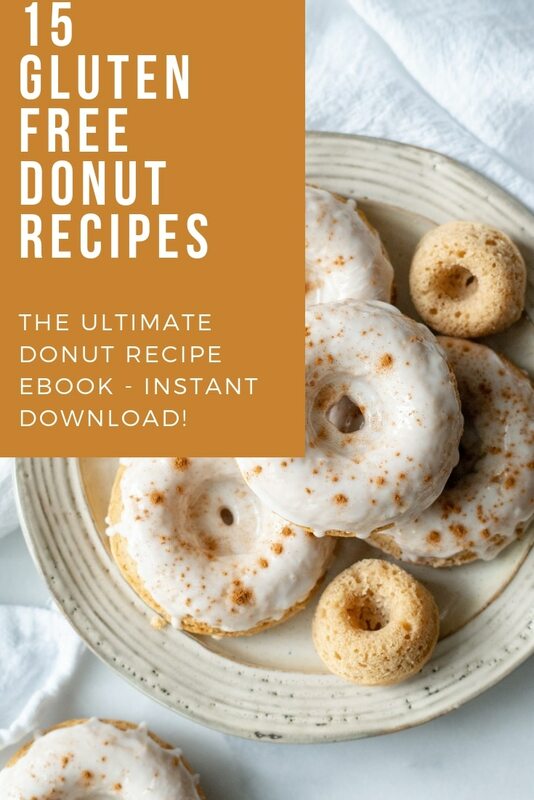 Made with fresh Salmon, ginger, and garlic, and topped with a Wasabi Cream, you’ll love every bite. We are in love with these Gluten-Free Arancini, and you will be too once you see how easy they are to make. Eat them plain, or dip them in marinara sauce, either way they are scrumptious. Gluten-Free Appetizers and a board game are a great way to have a cozy night in with your loved ones this winter. We enjoyed our cozy night in with wine, crackers topped with goat cheese and blackberry compote, and our favorite game. Wow your guests at your next party with these Gluten-Free Spinach and Artichoke Dip Bites! The crunchy crust topped with a smooth and creamy spinach artichoke dip will have you reaching for seconds. 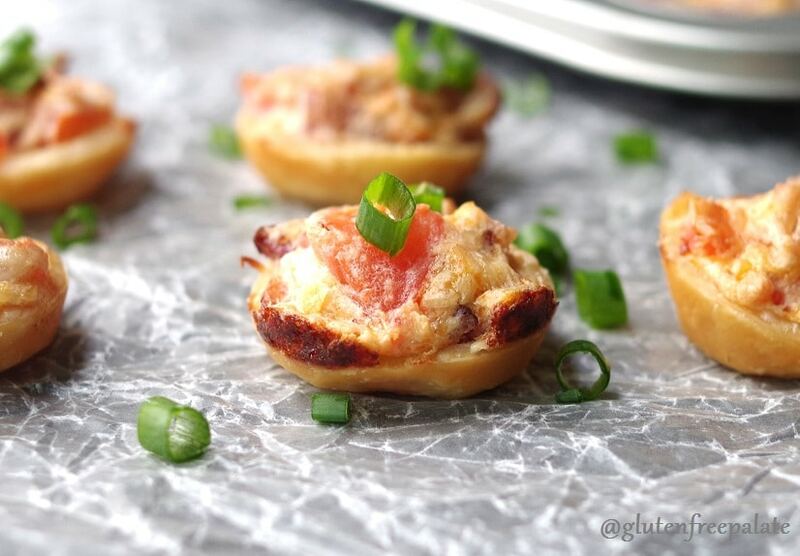 It’s the perfect gluten-free appetizer. 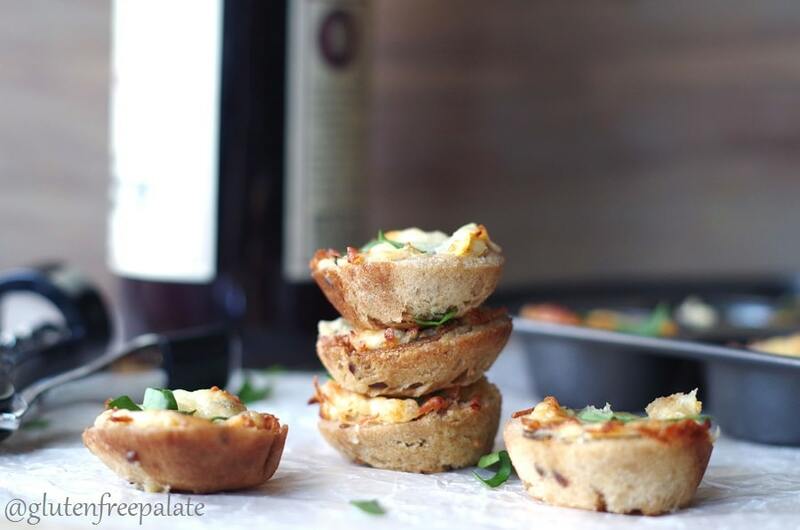 Who knew that gluten-free appetizers could be this simple, yet so sophisticated. 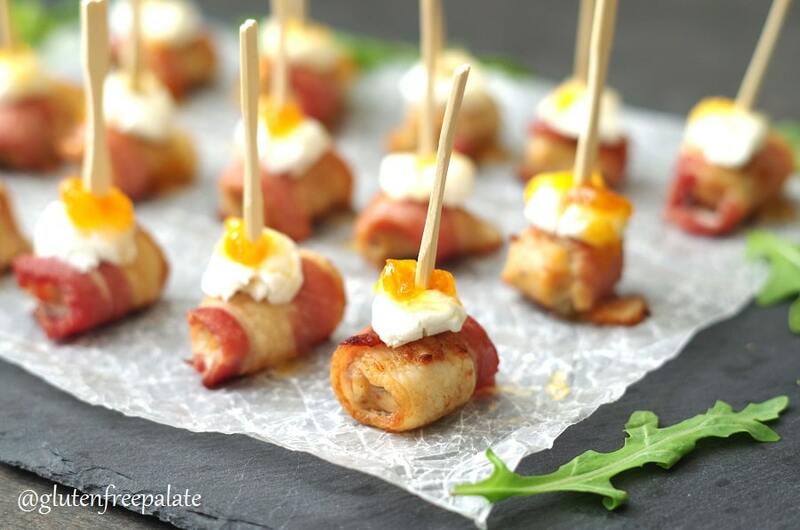 These Spicy Sausage and Bacon Appetizers are loaded with an amazing combination of flavors that will please anyone in the room. 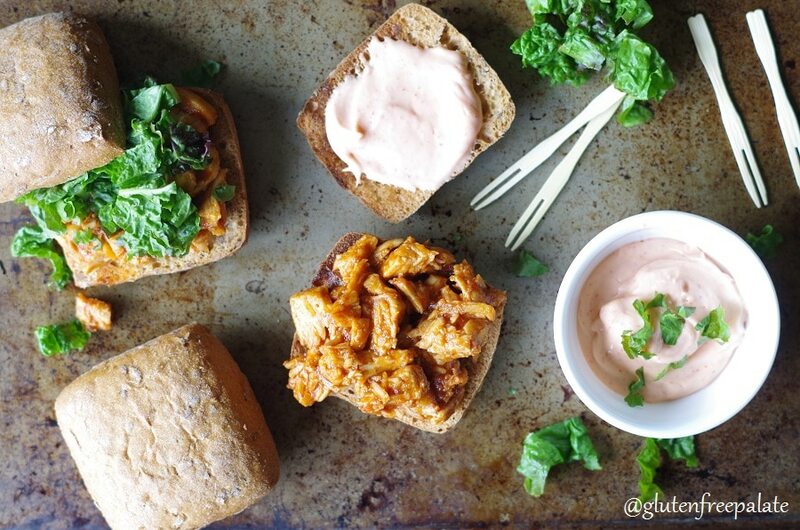 Whether you are planning a party to watch a big game, having family over, or simply looking for something quick and savory, these Gluten-Free Carolina Chicken Sliders will not disappoint. 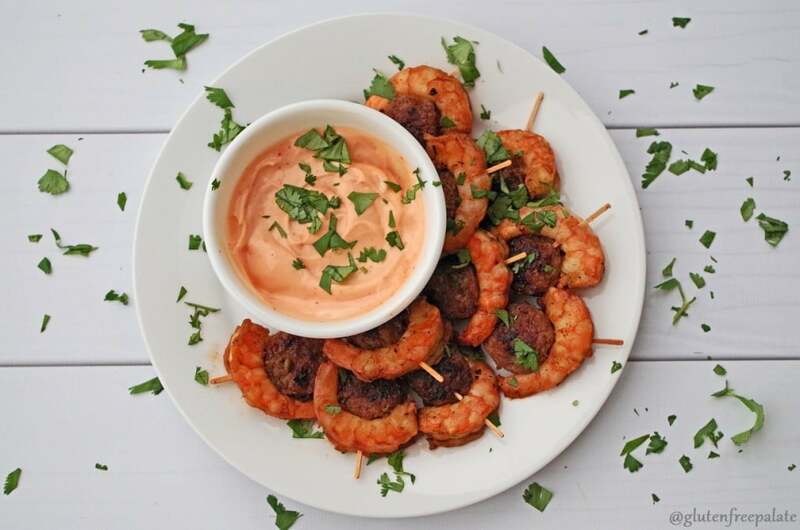 Tangy, mouth-watering, and quick to make, they will be a new favorite gluten-free appetizer in your house. 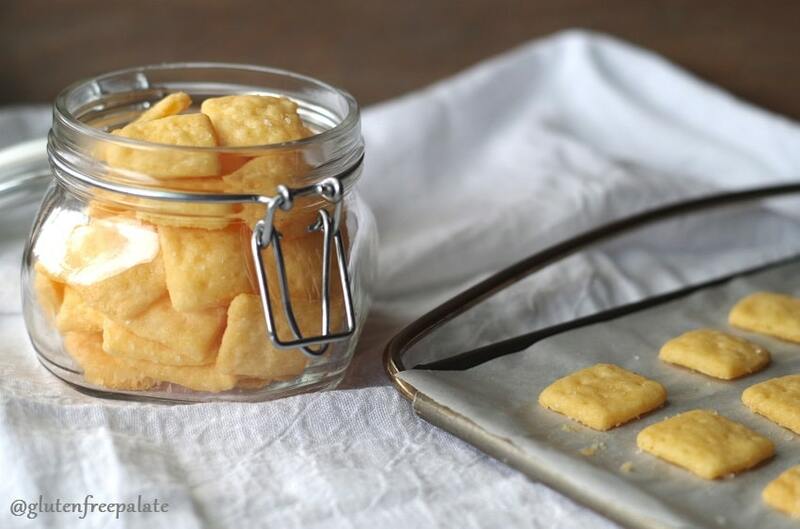 Satisfy your salty cracker cravings this New Year’s Eve with these super simple Gluten-Free Cheese Crackers. Crackers should always be included in your table of gluten-free appetizers. Gluten-Free White Champagne Cupcakes are perfect for celebrating weddings, birthdays, and New Year! 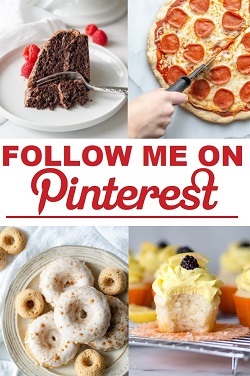 They are tender, have the perfect texture, and are topped with a rich buttercream frosting. I hope you have a wonderful New Year’s Eve! May the next year bring you all the happiness that you desire. Best wishes!